Pandora launched a new platform it calls tv.pandora.com that opens up streaming on the PlayStation 3 and Xbox 360 gaming consoles, but with an eventual focus on making the popular music streaming service available on TVs and set top boxes. The two consoles are the only ones able to tap into the new offering so far, since Pandora has yet to ink deals with TV manufacturers to embed the new-look service into their sets. Some TVs and Blu-ray players already enable access to Pandora, but the interface is different from what Pandora has released here. However, they haven’t offered it as a standalone app on the consoles, thereby forcing users to type in the URL into the respective Web browsers they use. The company says more than 10 million people listen to music from Pandora on a connected TV or set top box already, yet there is no official platform for the TVs themselves. There are apps for the Roku and Boxee Box already as well. 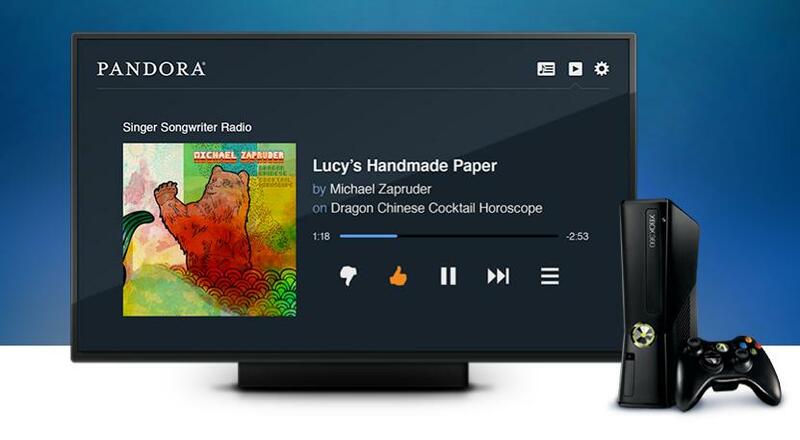 The new tv.pandora.com is based on HTML5, which means it can roll it out to any TV manufacturer because the standard is supported by all of them. Prior to this, Pandora had to develop different versions per manufacturer because compliance varied on each one. What used to take six months of development and coordination can now be done in just 48 hours, according to a Pandora spokesman. There’s no word yet on which manufacturers, if any, have expressed an interest in bringing this new TV-friendly Pandora into their respective platforms, but the move does come at a time where Apple is rumored to be unveiling a new iRadio streaming service to compete with Pandora and other services. The move to the living room isn’t all that surprising, though Pandora has already had a presence in it through existing playback on TVs and set top boxes by various means. Not to mention smartphones and tablets that can connect with speakers and home theater systems. It’s not known how ads would be handled on this new platform, and the company has indicated that it won’t cap listening on TVs like it already has for computers and mobile devices. Pandora’s policy is to enforce a cap when there’s a disparity between user growth and ad growth, though it’s not clear exactly what that threshold actually is.